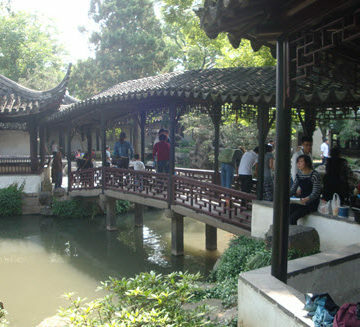 Nathan visited the Humble Administrator’s Garden in Suzhou. 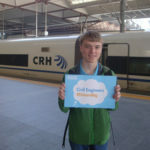 Today started out with a ride on one of China’s high-speed bullet trains. Topping out at nearly 280 kilometers per hour (174 mph), the train was comfortable and surprisingly smooth for such a high speed. I had intended to visit the Beisi Pagoda and Suzhou Silk Museum once I arrived in Suzhou, but both were closed due to construction. 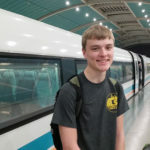 My trip to Suzhou, however, was not wasted. My next stop was the Humble Administrator’s Garden, an absolutely beautiful traditional Chinese garden. Surrounded by walls, the garden featured several large ponds, as well as a Bonsai garden, many rockeries (rock gardens), and flower beds. I could have spent many more hours in the garden, but my next stop was the Xiangmen ancient city wall and canal along the Waicheng River. The wall is quite tall, and climbing to the top is no small task. 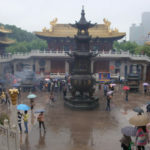 There was much more to see in Suzhou, but it was time to return to Shanghai. The next day I went to the Bund, perhaps Shanghai’s most visited site. 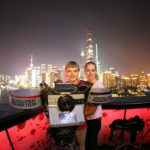 Across the Huangpu River from Pudong and the Shanghai World Financial Center, the Bund offers excellent views of Shanghai’s skyscrapers, including the Oriental Pearl TV Tower and Shanghai Tower, which is now the second tallest building in the world. 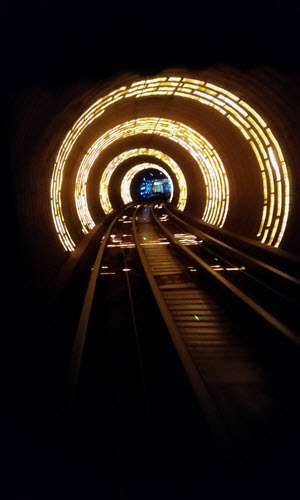 After taking pictures, I experienced the Bund Sightseeing Tunnel, which is perhaps best described with pictures (on the left). After lunch, I walked down East Nanjing Road, Shanghai’s central shopping district. Many American brands are represented, as well as several of Shanghai’s department stores. 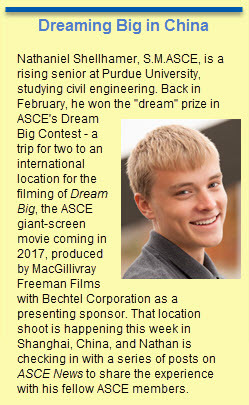 Tomorrow I will be visiting with students from the Tongji University Student Chapter of ASCE. I look forward to meeting them and learning about their student chapter.